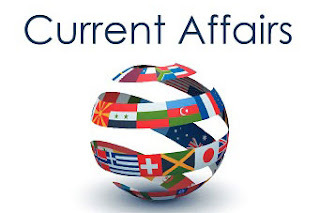 Daily One Liner Current Affairs like many other sections is inevitable and this also helps to score in the Banking awareness , Static GK and Financial Awareness sections. Remember, Banking Awareness and Static Awareness Questions are asked from the General Awareness section. This will also help you to ride your preparations for the forthcoming competitive exams. According to Global Innovation Index (GII) 2018, China broke into the world’s top 20 most-innovative economies. Switzerland has topped this list while India is at 57th place in the list. This annual ranking has been published by Cornell University, INSEAD and the World Intellectual Property Organization (WIPO). 6. The first “India Tourism Mart (ITM)” will be organized in New Delhi from 16th to 18th September 2018. 8. State-run telecom company BSNL has unveiled the country’s first internet telephony service. Now BSNL customers will be able to make calls using the company’s mobile app “Wings” to any phone number in the country.